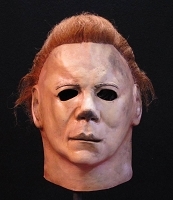 This mask is an identical replica of the mask worn by one of the most famous movie serial killers of all time, Michael Myers, in Universal's Halloween II, a spine-tingling dark ride into the scariest night of the year. The Official Halloween II Michael Myers Blood Tears mask was sculpted by Justin Mabry and was based on numerous screen shots from Halloween II to make it the most screen accurate Michael Myers mask ever released. Halloween II is a trademark and copyright of Universal Studios. Licensed by Universal Studios Licensing LLC. All Rights Reserved. A Note to Parents: Halloween II is rated R. Consult www.filmratings.com for further information. Great mask! Odd paint job. Very faithful-looking mask - absolutely outstanding sculpt. 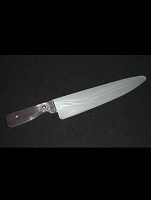 One quibble - mine came with a flesh-colored neck; the white color of the face ended at the jawline. To me, this looks weird and wrong. The rest, though, is fantastic! I've bought both versions of this mask, the normal one and the blood tears. I love them both and if are a collector like me, you really need to get this blood tears mask. It looks great and creepy at the same time. 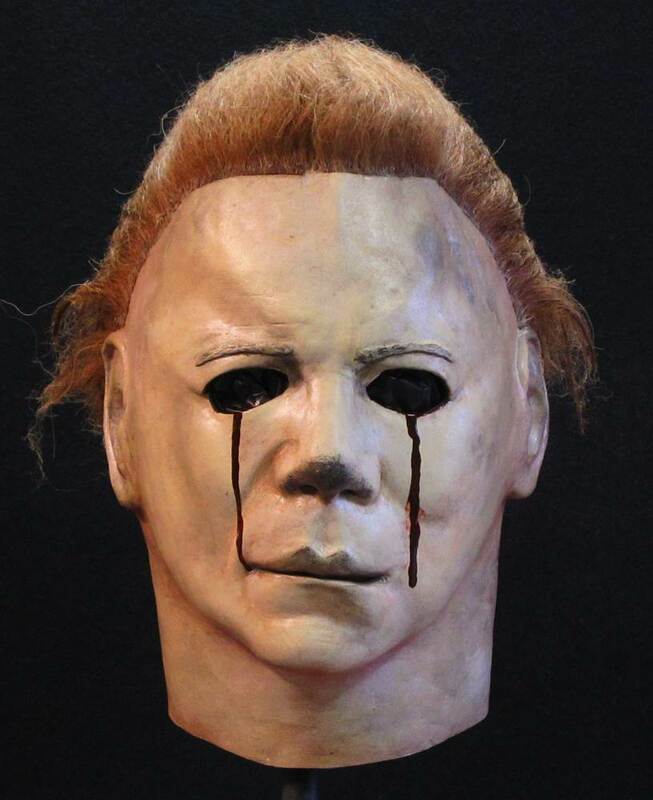 Unless you want to drop somewhere in the vicinity of at least $500 and wait for possibly two years for it to be made - THIS is the Michael Myers mask everyone needs. In fact, I own several masks that cost more than I care to admit...but I STILL pre-ordered these beauties the day that became an option. Trust TOTS, their final products are usually even better than their promotional pictures.